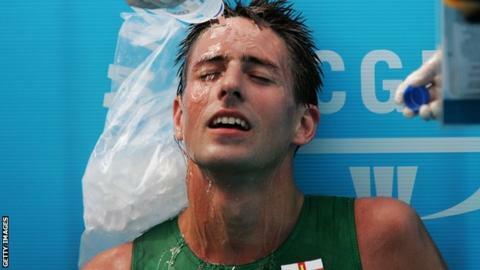 Guernsey's leading triathlete Ian le Pelley will not be representing the island at the 2014 Commonwealth Games after an appeal for a discretionary place was turned down. Le Pelley, who raced at the 2006 Games in Melbourne, has failed to meet the qualifying criteria. "Strictly speaking he failed to meet the qualifying conditions that we set," said Guernsey Triathlon's Mark Naftel. "But he's done that with conditions that were out of our and his control." Guernsey's Commonwealth Games Association have refused to expand upon their reasons for not offering Le Pelley a discretionary place. "Last summer, which was the core of our qualifying period, the UK had flooding and all sort of other weather problems which changed triathlon courses," Naftel added. "He had the opportunity to qualify in Bermuda at last summer's Island Games. But they went out to Bermuda a bit late, travel plans are out of our control, he didn't have time to acclimatise and it didn't go to plan. "He was also ill on the day of the race so that just didn't work out. "The Guernsey Commonwealth Games Association offered us the opportunity for Ian to take part in further races in the next three or four weeks. "But if you look out of the window today and think someone is going to set a decent time in this weather, it's not going to happen. "Ian would have to peak for a race next month and then look at peaking his training again in July and realistically, with the nature of our sport, it's not going to happen."